Streetglo's Motorcycle Decals and Motorcycle Helmet Decals Sticker products. Accessorize your Helmet or Motorcycle or Vehicle with our Motorcycle decal products! 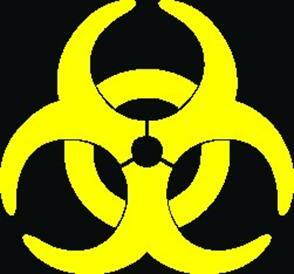 This Reflective Bio Hazard Motorcycle Decals Sticker will grab attention while cruising the boulevard! You want to be seen at night! Our Reflective Motorcycle Helmet Decals Sticker products will greatly enhance the ability for motorist to see y ou! Want to see more motorcycle decals sticker items? · Any application where you want reflective motorcycle decals for night safety! · …. We have great motorcycle decals! Try one on tonight! We here at StreetGlo are dedicated to your safe motorcycle riding at night. Our products will accent your equipment in the day with beautiful decal product. However at night, they come alive in a grand burst of light whenever headlights reflect upon them. In some situations, our reflective motorcycle decals can be brighter than the running lights on your motorcycle. We recommend a minimum of 3 square inches of reflective material on the back and each side of your bike and again on the helmet. This is the minimum recommendation, more is better and more is safer. Please visit our catalog and choose from the hundreds of reflective products available to you at deeply discounted prices. When you ride at night, Streetglo’s reflective Motorcycle Decal products can make a huge difference in your safety. High visibility reflective motorcycle decal and graphic products are easier to see than ordinary plain helmet decal products. If you ride at night, insist on Streetglo’s full line of reflective motorcycle graphic products! Be seen with our reflective motorcycle helmet decals sticker!